Blessed with overwhelming location, Tashiding Monastery is held in high esteem by Buddhists in Sikkim. It is surrounded by rivers on its both sides – the Rathong river and the Rangit river. The mighty Kanchanjunga in its backdrop gives a rare opportunity to the tourists to enjoy the mesmerizing views of the world's third highest peak. The monastery is also called Chogyal Lakhang. It is situated on a beautiful hill dotted with myriad trees. The monastery houses a sacred stone jar which is as old as the monastery itself. The jar is believed to possess some heavenly power as it never runs dry. Devotees from far and wide come to the monastery to sip the sacred water. Tashiding Monastery was built in 1717 by Ngadak Sempa Chembo during the rule of the third Chogyal Chakdor Namgyal. The pillars of the monastery are adorned with the holy mantras of Buddhism. “Om Mane Padme Hum” is one of the mantras carved by the known craftsman Yanchong Lodil. Like other religious centres Tashiding Monastery has its own traditions, the most important is the ceremony of Bumchu. It is held at midnight of the 14th and 15th of the first Tibetan month. A sacred Chorten(stupa) is an attraction of the monastery. This stupa is called 'Thong-Wa-rang-Dol', meaning 'Saviours'. It is believed that if one sees this stupa, all his/her bad karma are destroyed. According to the Buddhist scriptures, Guru Padma Sambhava blessed the land of Sikkim at this point in the 8th century. Also notable are the ' manis' (stone plates) reading the Buddhist mantras. The monastery is located only 40 km from Geyzing and is easily accessible by buses and Jeeps from the town. For accommodation, a Trekker's Hut is available in Tashiding. 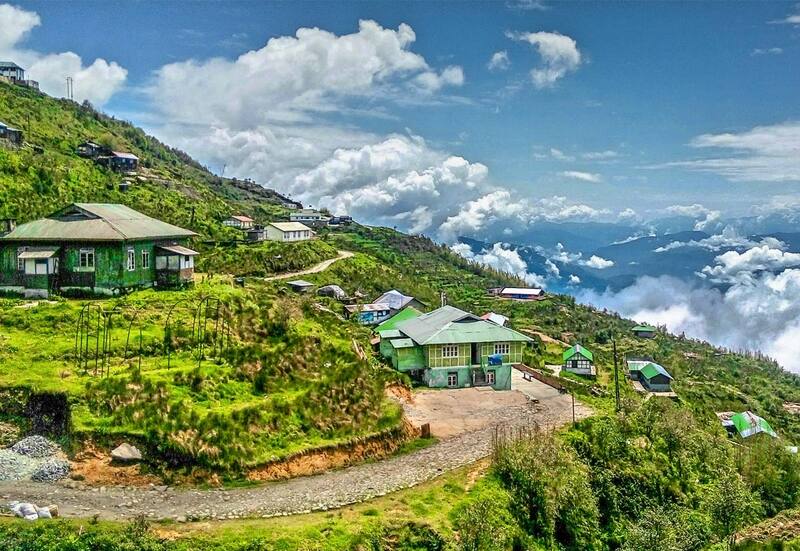 The nearby places like Yuksam and Pelling offer good accommodation options.